Melbourne Summer Real Estate Wrap 2016 – The Most Experienced Buyers Advocacy and Property Management Services of the North and Western Suburbs. Christmas has come, celebrations and time spent with family and friends ignites a sense of joy and happiness around the world. Now the New Year festivities to welcome 2017 are approaching, it’s a great time to reflect on the year that has past, express gratitude and focus on what you will do to make 2017 your best year yet. We are fortunate, especially in Melbourne to be living in “The World’s Most Liveable City”. The real estate market experienced strong growth and demand consistently through each season of 2016 and demand remains high from a combination of owner occupiers, investors both local and interstate and first home buyers. At Master Advocates we had the pleasure of assisting more interstate investors buy in the Melbourne market during 2016. Our experience has been a 30% increase of investors from interstate since the beginning of Spring compared to the same period last year. The majority of the interstate investors being from Sydney. If you already own property which you secured within 30km of the Melbourne CBD in the recent three year period or earlier, the capital growth performance has been great. If you have not secured your first home to occupier or investment, developing strategies to engage in the market should be on your goal list in order to create wealth through property investment long term. With reasonably affordable housing available on offer in the north and west within 20km of the Melbourne CBD and population growth and demand to live in Melbourne increasing at a rapid rate each year. It’s only a matter of time before our City becomes the largest population in the nation and the growth in property prices becomes even more difficult for people to enter the market. Thank you for your continued support throughout this year. We hope 2017 is filled with joy and prosperity for you and your family. Please be advised our office will be closed from Friday 23 December at 12:00pm and will re-open on Monday 9 January 2016 at 9:00am. For property emergencies only during our closure period, please contact 0408 988 118. A clearance rate of 75 per cent was recorded this week compared to 79 per cent last weekend and 67 per cent this weekend last year. There were 1231 auctions reported to the REIV, with 924 selling and 307 being passed in, 103 of those on a vendor bid. The REIV collected 97% of auction results last week with a total of 1297 results including 41 withdrawn and 25 postponed. Following the Reserve Bank meeting in December, the cash rate was left unchanged at 1.5 per cent. The rise in commodity prices this year has resulted in an increase in Australia’s terms of trade. This represents a marked turnaround from the pattern of recent years, whereby the terms of trade had fallen significantly. There have been about 35,200 auctions held in Victoria in the first eleven months of 2016 with 75 per cent selling. The middle Melbourne region recorded the highest number of properties sold by auction so far this year, with around 10,700 sales, and a clearance rate of 77 per cent. Victoria’s vacancy rate stands at 2.4 per cent in November 2016. The weekly median rent for houses in metropolitan Melbourne rose to $420 in November on the back of rises in inner and middle Melbourne. In regional Victoria, the weekly median rent for houses remained at $300 per week in November. The weekly median rent for units remained at $400 per week in metropolitan Melbourne while the median rent for units in regional Victoria rose by 4.0 per cent to $260 per week. Results Released: December 1, 2016 * Rest of state change in values are for houses only to end of October 2016 Capital city dwelling values rise by 0.2% in November as housing growth cycle clicks over 4.5 years of growth The Core Logic November Hedonic Home Value Index results out today show a rise in dwelling values across every capital city excluding Melbourne over the month. However, CoreLogic head of research Tim Lawless noted that the overall growth rate has moderated when compared with recent months’ performance. The current growth phase for capital city home values commenced in June 2012, almost four and a half years ago, and since that time capital city home values have increased by 42.0%. To put the geographic differences in growth into perspective, over the current growth phase Sydney home values are 65.9% higher and Melbourne values are up 48.6%, the capital city with the third highest rate of growth was Brisbane where values have increased by a much more modest 19.0% over the period. How interest rates and economic factors are affecting our markets. Official interest rates set by the RBA are currently recorded at 1.5%. For an owner occupier, mortgage rates are currently recorded at: 5.25% for a standard variable mortgage, 4.5% for a discounted variable mortgage and 4.0% for a three year fixed rate. For investors, current mortgage rates are: 5.5% for a standard variable mortgage, 4.75% for a discounted variable mortgage and 4.15% for a three year fixed mortgage. Mortgage premiums for investors have only been in place for just over a year. The cost of interest for a mortgage remains at historically low levels. The national ratio of household debt to disposable income was recorded at 186.0% in June 2016, up from 180.8% a year earlier. Of this 180.8% ratio, a record-high 131.5% or 70.7% of the total is debt related to housing. The 131.5% ratio is also at a record high up from 127.8% a year earlier. Breaking out the 131.5% ratio of housing debt to disposable income, the RBA reports that 85.2% of the ratio is owner occupier debt leaving 46.3% to investors. The ratio of owner occupier debt has fallen from 92.5% a year earlier while the ratio for investors was at a record high up from 35.3% a year earlier. Housing and household debt are both at record highs and trending higher. Lower interest rates appear to have encouraged Australian households to take on more debt, particularly housing debt. Capital city clearance rate remains strong for the first week of Summer at 75 per cent, while the number of auctions has fallen week-onweek The combined capital city preliminary clearance rate rose this week to 75.0 per cent, up from last week’s final clearance rate of 73.0 per cent. Our growing team is supported by the leadership of husband and wife team of Master Advocates Co-Founders Mark and Michelle Errichiello, who’s vision and passion for our profession and services have become the principal foundations of Master Advocates practices, mission and values. 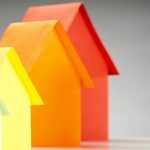 Master Advocates – Real Estate Services is based in Essendon, Melbourne, but our services extend right across Victoria. We can assist as Certified Licensed Estate Agents and Independent Buyers Agents in consultation with Contractors, Surveyors, Builders, Town Planners and Architects in relation to the feasibility, selection, assessment and purchase of Investment Grade Property and property with Development, Subdivision and Value Add potential. Our services extend from initial Search, Purchase, Settlement and beyond with our team of independent Buyers Agents and Property Managers. This is a key independent services which helps our Buyers Advocacy clients leverage the buying process of investment property, knowing what the right property choice will be for investment and how it will perform over time through our current and ongoing experience in the Property Management market. We assist our clients based on more than 20 years of real estate industry experience. Our service and experience provides the most value and benefits when it comes to leveraging property selection and feasibility for Investment Grade Property, Value Add Potential or Renovation with Building and Land area, Development and Subdivision. Master Advocates Real Estate Services is proud to announce that our Director (OIEC) and Principal Buyers Agent, Mark Errichiello has been appointed to serve on the REIV Buyers Agents Committee and Buyers Agents Chapter for a further two year term 2017-2019. Mark has already served on the (REIV) Buyers Agents Committee and as an (REIV) Members Council Delegate for the Buyers Agents Chapter during the 2014-2016 term and is looking forward to making a greater contribution toward the future of the real estate industry and profession by working toward continued improvements with public relations, policy and professional practices. Visit the Real Estate Buyers Agents Association of Australia to find a REBAA Accredited Buyers Agent who can help you buy a property with confidence anywhere in Australia. New land tax surcharges when owning land in New South Wales and Victoria. New South Wales and Victoria have introduced new regimes where foreign persons and most trusts will be liable to additional land tax when owning property in those States. For clients who have trusts owning residential property in New South Wales it will be necessary to review and most likely amend trust deeds before 31 December 2016 to avoid an increase in land tax for 2017. The increase in land tax is by 0.75%. For clients who have trusts owning any property in Victoria it will be necessary to review and most likely amend trust deeds before 1 January 2017 to avoid an increase in land tax for 2017. The increase in land tax is by 1.5%. In NSW the new laws affect “foreign persons” who own residential land or are beneficiaries of trusts that own residential land. A great result by our Property Management team. We have a pleased future tenant and very happy landlord investor client based on our teams result which was achieved 12 days prior to Christmas. Renovated Victorian property 10 Toorak Road West, South Yarra has now been leased to a successful applicant at $1,650 per week, being $7,150 per calendar month. Now Leasing, start the new year in this brand new Northcote Hill Townhouse with stunning city views. On a clear day you can see forever. Prime location in Northcote, perched on a premier hilltop, boasting some of Melbourne’s finest city views. Master Advocates were proud to take part and contribute to Movember Australia Fundraising this year and collectively since 2003 to 2016, Movember has achieved amazing results to support Men’s Health. During Movember, our Director, Mark Errichiello was inspired to focus on men’s health and creating awareness through fundraising and sporting a fresh mo. In Movember, Mark dropped into Don Camillo’s Restaurant and grabbed a short mac and a pic with Martial Arts Legend and World Champion Sam Greco. If you want to test your health and fitness and get a cold hard reality check to get you back on track, book a personal training session with Sam. The training session was an honour and a privilege. An icon for men’s health, Sam “Slam ’em” Greco holds many decorated martial arts titles and victories and is a Super Heavyweight K-1 Kickboxer, MMA and Karate World Champion. He is also an entrepreneurial business owner, Actor, Motivational Speaker and Personal Trainer. Thank you to everyone who has donated and supported Movember in 2016. Every donation even $5 or $10 goes along way to support men’s health and is appreciated by our Mo Bro’s and Sista’s. The Movember Foundation is the only global charity focused solely on men’s health, so this Movember I’m getting on board. I’m raising funds to tackle some of the biggest health issues faced by men: prostate cancer, testicular cancer, and poor mental health. Help me stop men dying too young. Since 2003, millions of men and women worldwide have joined the men’s health movement, enabling Movember to fund over 1,200 men’s health projects. Together we’re helping men live happier, healthier and longer lives.